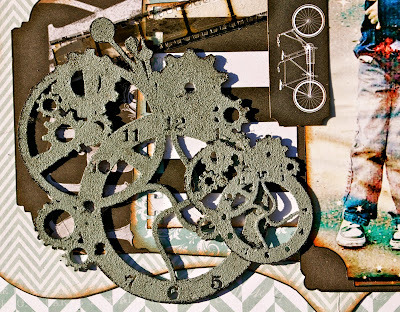 Hello Sweet Friends, Today I have 2 DT projects to share with you for Imaginarium Desings. For my 1st project I used a couple of photos that I altered of my friend's dd Hannah..want a special girl she is. 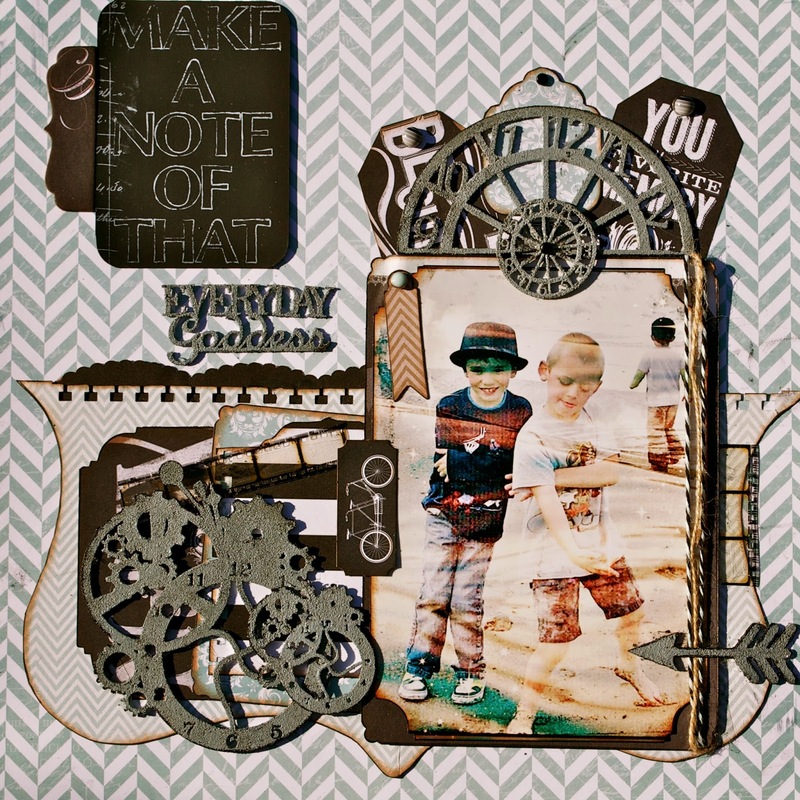 I used the Imaginarium Designs Tinies Butterfly (IDT0014) along with the Small Butterfly (IDS0001) and a Oval Frame (IDT0002) which I cut in half to accent the top and bottom of the photos. 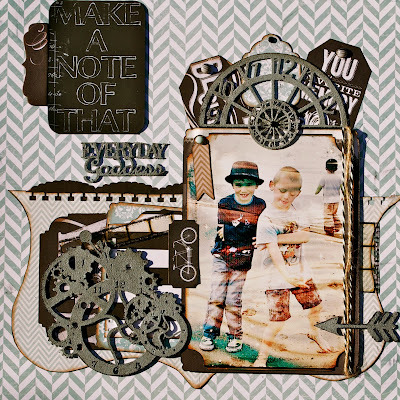 I used Reflections Union Square/Plaza Square Paper Pad for this layout. To alter the chipboard I used some Lindy's Stamp Gang Midnight Copper Obsidian Two-Toned Embossing Powder. 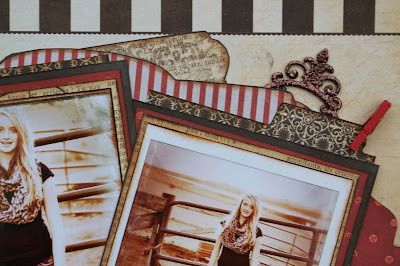 I put a heavy layer of the embossing powder on the pieces for a different effect. For my 2nd project I used a photo of my 3 Grandsons at the beach awhile ago that I again altered. 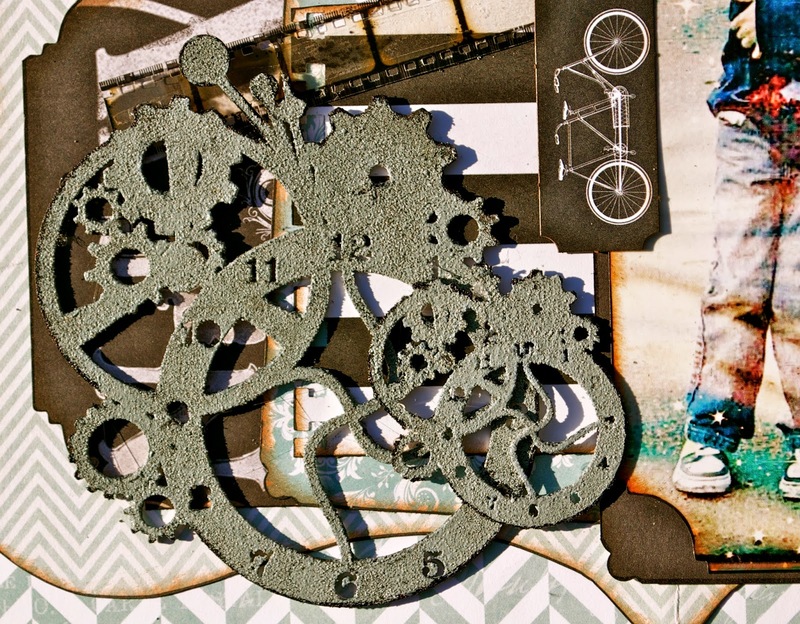 I used the Imaginarium Designs Clock Face (4.5 IDS0005) along with the Steampunk Clock (IDS0030). 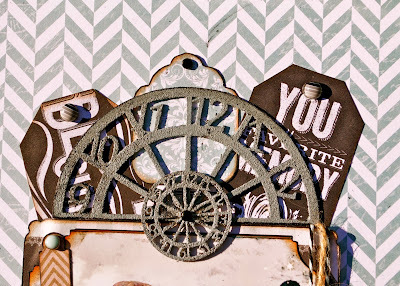 To alter the chipboard I used some Tim Holtz Distress Embossing Powder (Weathered Wood). I love how it matched the paperline. Thanks for taking a peek and I hope you enjoy. Don't forget to stop by http://imaginariumdesigns.blogspot.com and leave a comment for a chance to win some beautiful chipboard! !